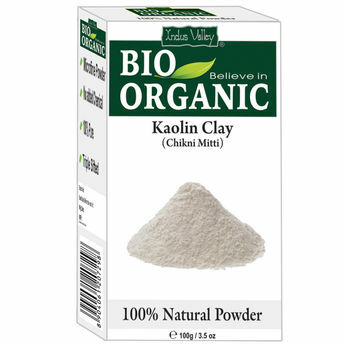 Indus Valley Bio Organic Kaolin clay is an inexpensive, simple and an exciting way to take care of your skin. As a facial and full body mask this Kaolin clay powder organic offers several benefits for oily, acne-prone, normal and sensitive skin types. China clay, Kaolinite clay, white cosmetic clay or simply white clay happens to be alternative names for kaolin clay. Kaolin's unique properties and ingredients make it an incredible item for masks and other skincare products to be precise.